I did this last night for the first time and was delighted at the reception it got! Hubby and kids devoured it and said we should definitely have that again!! This recipe is simplicity itself and full of goodness for the whole family. Variation: You can also top the Frittata with grated parmesan for a more indulgent meal! 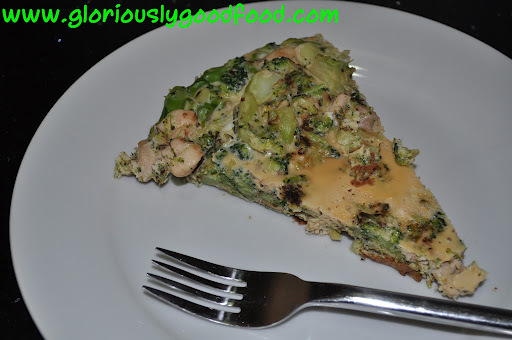 This entry was posted in Chicken, Dairy & Eggs, Vegetables and tagged broccoli, chicken, chicken ideas, chicken recipes, egg recipes, filling recipes, frittata, omelette, simple recipes, vegetable ideas. Bookmark the permalink.